One of the fun things I like to do near the holidays is find little ways to surprise the boys in their lunch boxes. These sweet treats will be headed into their lunch boxes on Tuesday in honor of Valentine's Day. 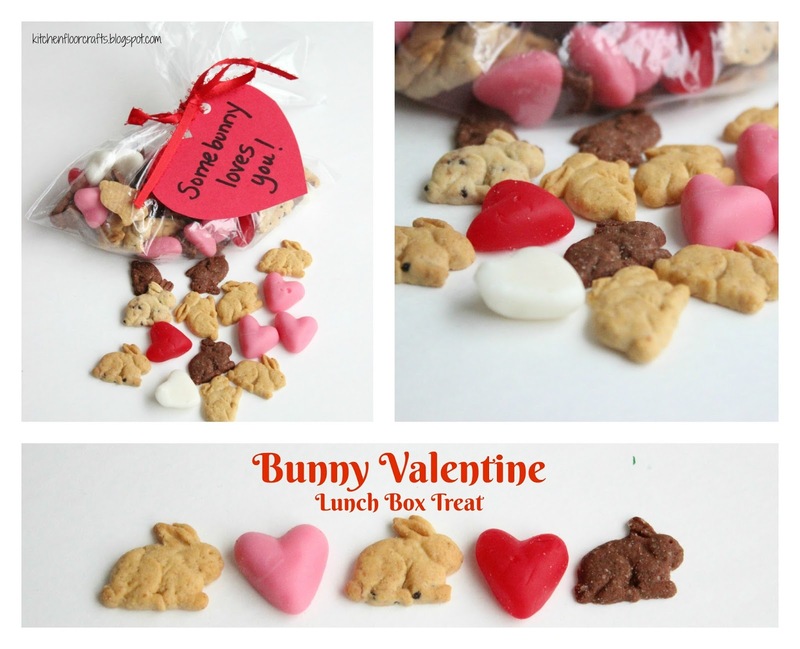 When I spotted these yummy Annie's bunny grahams at the grocery store the other day they inspired me to create this fun Valentine's Day Lunch Box Treat. The ingredients can be found at a local grocery store: Annie's Bunny Grahams and heart shaped gummies. (I found these gummies in the bulk section of our local store.) If you can't find gummy hearts, any other small, heart shaped candy would also work. 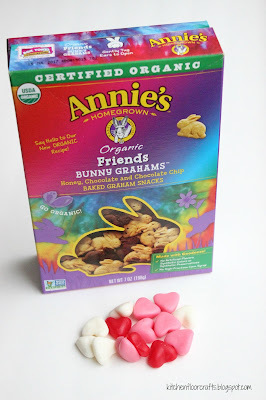 I chose to use the mixed bunny box, but Annie's makes lots of other yummy bunny graham flavors too! 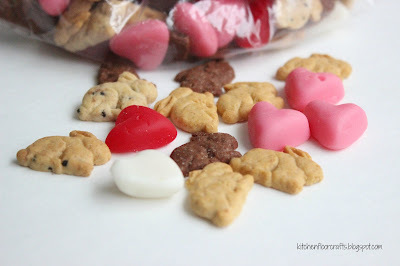 I mixed a large handful of bunny grahams into a plastic sandwich bag and added in a small handful of heart shaped gummies. 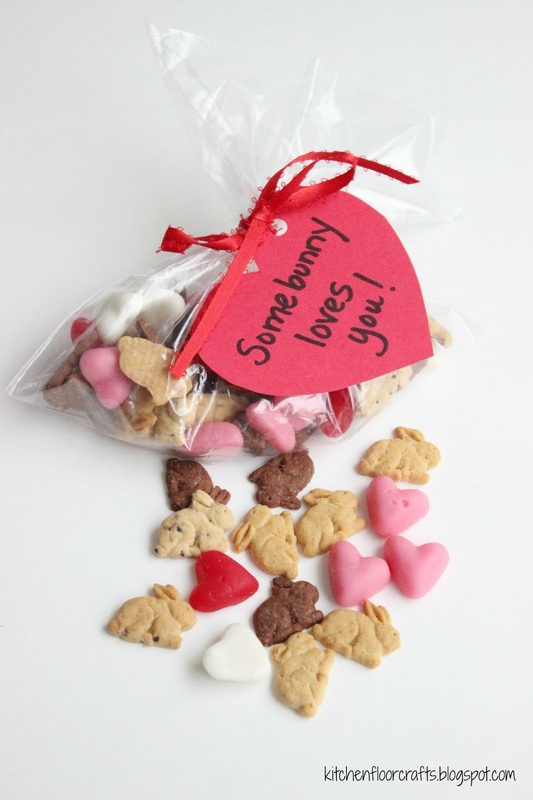 Using red card stock I cut out a small heart for each bag and hole punched it. 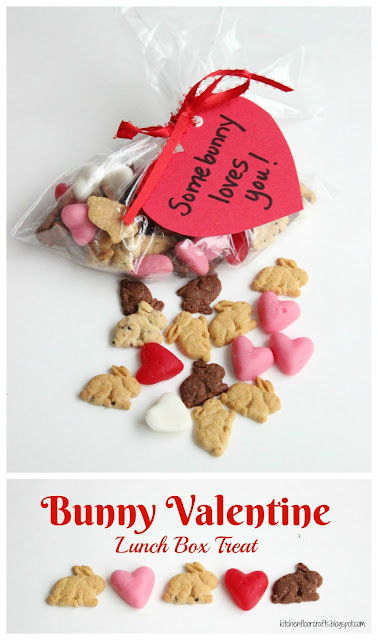 Using black sharpie I added the words "Somebunny loves you." I then tied the heart onto the bag with red ribbon. I think the boys will love this fun surprise in their lunch boxes on the coming Valentine's Day! I might even make one for my biggest guy, aka Daddy, to surprise him too!